This product contains two 60-card decks and is designed for out-of-the-box two-headed giant play. 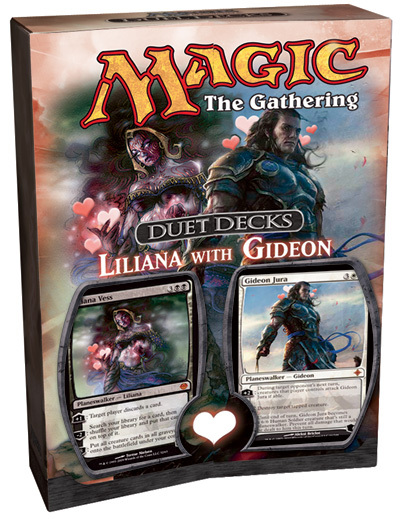 The decks contain two mythic rare premium Planeswalker cards, as well as cards that have never before been printed in the modern card face or in black border. I kinda wish they would release this, though. Obvious April Fool's joke is obvious. All times are GMT -7. The time now is 03:21 AM. Copyright (c) 2008 - 2011 RarityGuide, Inc. All rights reserved. All trademarks and copyrights are the property of their respective owners.